My last trout flies for next year was completed last night, Hydropsyche Nymphs. The fly is comprised of latex on the body (wrapped over a foil body), filo fibers for the tail, ostrich for gills secured by mono and legs from a amherst tail. The brown version is coloured by marker, until such time I find some good latex in transparent brown. With respect to the latex, I find many of the plastic sheets in fly tying shops not flexible enough. Latex used in clothing or dental offices is the better material. 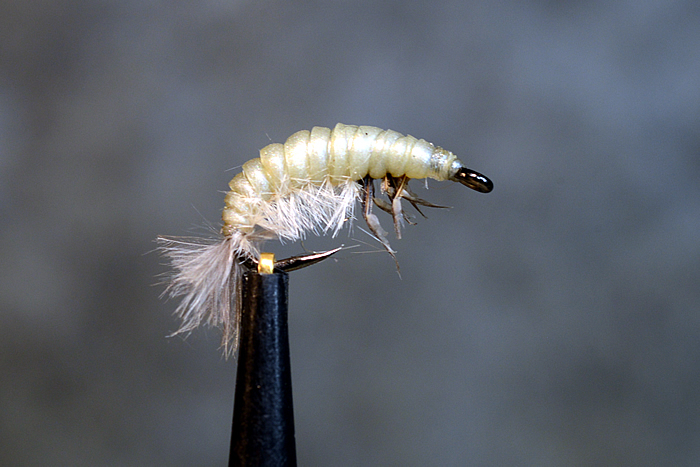 The foundation of a good fly in this case is dependent upon wrapping a good under body with the bulk in the rear and the ability to stretch thin to thick (o.33 to 0.40mm) the latex as you tie. The latex we get for phyiotheraphy has the right physical properties to. 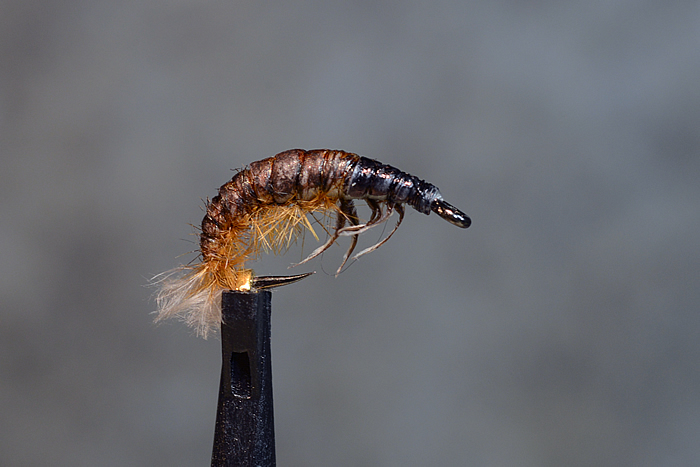 The hook is another favourite, a Partridge SHR in Size 16, amounting to a body that is 12-14mm long, which corresponds to many of the mature caddis nymphs we find in spring on our rivers. Using this a segway to another important note, size designation of hooks varies from manufacturer to manufacturer, and thus not an accurate measure of what size your fly should be. 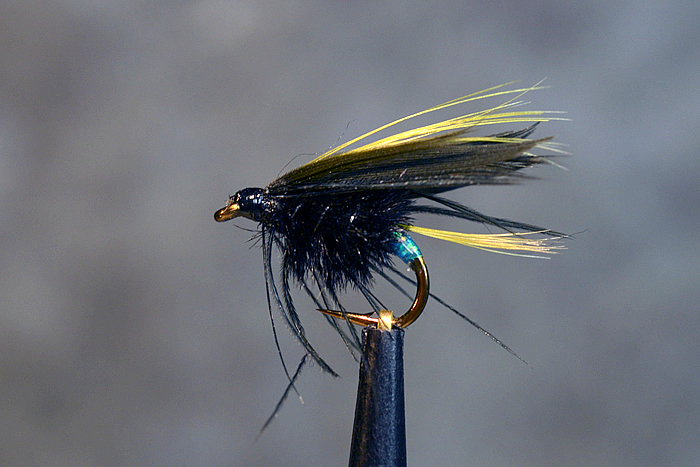 Given this lack of standardization, when you tie flies for trout (insect patterns, dry or nymph), do so in terms of a true quantitive size – metric or imperial. And white is not a standard colour, but something I include in the fly box for “a change up”, when things are not working. What is next? I have too many fly rods in a partial state of build that I need to complete. If I tied any flies, it is to concentrate on what I do poorly – married wings and winged flies.